Week 2 of Base Training was always going to be hard. I had a lot of real life activities planned and I knew that the chances of me running between Monday and Thursday depended on getting out of bed before 6am and as such the chances were very slim. I did however get back on track towards the end of the week and managed to complete the best part of 50km in three days and now hopefully I can build on this momentum going forward. There has been no change in my weight. If it does not change soon I may have to take some drastic actions. It was good to see my RHR and HRV head in the right direction but I was not able to do anything with them as I had a commitment after work. More real life events getting in the way but not unexpectedly. By Wednesday I was itching to run again but it was not to be. Thursday I had a good reason to miss my run, if you count not running in the morning before work a good reason. It was our 19th wedding anniversary and we went out to dinner in the Conrad Hotel in Odaiba. Yes, the very same hotel that we run by on our Rainbow Bridge run once a week.It was nice for once to be on the inside looking out. I had rang ahead to the hotel and they prepared a special vegan meal for me which was very good. On Friday night I finally made it back out again with my friends from work and Namban Rengo. We ran the Rainbow Bridge route for the 4th time this year. As before, we left our stuff at the Minato Ku Sports Centre and headed off. The rule is that it is OK for you to go out but you must return within an hour or you turn into a pumpkin. They give you a piece of paper with the time you must return by written on it. Last week we were late starting so we were late back and I got a dirty look from the woman at reception. Word must have gotten out because although there were different people at reception this time, they made a big point of telling us to be back by 8:20pm. I tried to encourage them to write down 8:30pm but they were having none of it. The fuss at the start meant that I was a little worried that we would would get back in time and I pushed the pace from the off. Fortunately everybody was able to keep up and we ran the 10km in a nice 51 mins excluding stops for photos and we arrived back at 8:20pm on the dot. Nobody cared. The Rainbow Bridge starts high on the Shibaura side (you have to take an elevator up to the 7th floor to start running but apparently there are stairs as well) and then drops down to sea level in Odaiba. I ran fairly fast on the way down and according to Strava I did one km in 3:10 but I find that a little hard to believe. The way back was a different story running uphill but Bob took off and left me well behind. Afterwards we went for our regular Craft Beer but in a new place called Swan Lake in Tamachi which is about a 10 minute walk from the Sports Centre, rather than Devil Craft in Hamamatucho which is a 25 minute walk. They both have great beer but Devil Craft have much better pizza and salsa. We may end up going back to Devil Craft as the closer proximity gives us too much drinking time and I nearly did not make it to the Hill Repeats on Saturday morning. The Namban Hill Repeats on Saturday mornings have been going strong since 2013. Started and aggressively promoted by Jay they are now attracting over 20 people each week, especially in the fine weather. I have not been there in a long time and my absence combined with the Bridge run and Craft Beer the night before meant that I was in a terrible shape. 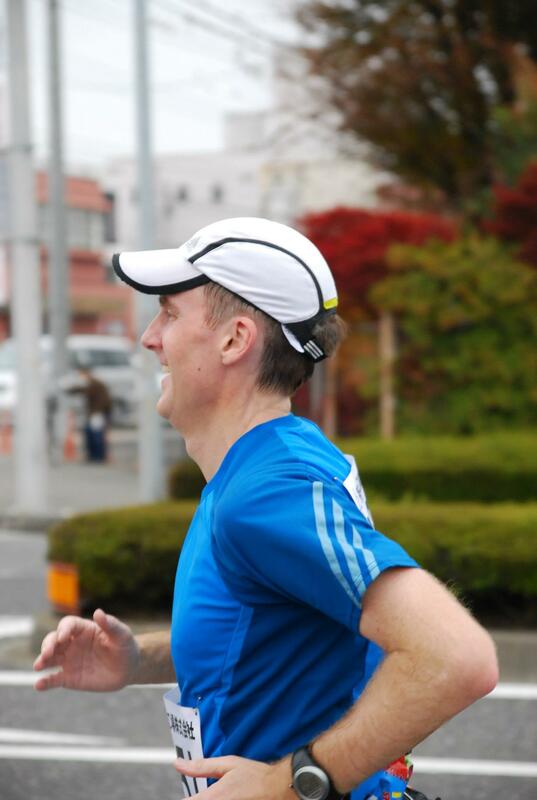 Still I am very glad that I went so I can see the true shape of my running and can do something about it.My plan for Saturdays is to get to my Sports Club in Shibuya around 9am and then jog the 3km over to the Akasaka Place where the Hill Repeats take place at 10am. Today I had a little extra time so I ran the course which is another 3km. Afters I jog back to Shibuya and plan to do some weight training and some swimming. I have never done weights before so my arms and upper body is totally under-developed. Fortunately, an instructed was available to show me how to use the use the free weights safely. I even managed my first bench press. 3 x 10 reps of 27kg may not sound impressive but it was a good start for me. In between reps the instructor asked me if I could do a push up and I said no problem. I couldn’t. She asked me to try doing them from my knees. I couldn’t do that either. I guess I have a long way to go. Also, I could only manage a 300m swim, but at least the training is heading in the right direction. Now let’s see if I can get in a long MAF run tomorrow. Well, if this is going to be a base building period, I definitely needed to get out there and run some long slow distances. Hopefully I will be able to do 2 or 3 a week MAF runs a week but this week there was only going to be one MAF run and Sunday was the day for it. I dragged myself out of bed at 7am and out into the sun. I had hoped to be up at 6 and on the road at 6:30 but it was never going to happen. Still it was nice to get out along the river in the early summer sunshine. I had upgraded my Mio Link heart rate monitor on Saturday afternoon and it was no longer syncing with my Garmin Forerunner 220. I have since resolved the problem by re-adding the heart sensor but for this run I had rely on the different colour leds on the side and make sure that I was in the green zone. It worked out well and I ran at a slow but consistent pace for 2 and a half hours. The Tamagawa Riverside was packed, mainly with cyclists. I guess the sun brings out everybody. It was a joy passing the Setagaya Rugby School and seeing more than a 100 people out practicing. My own son had been a member of that school up to 3 years ago and I have many fond memories of him playing with them. I increased my long run distance a little bit on last week but not as much as I had hoped. I want to be getting above 30km runs in soon at my MAF pace to build up my aerobic engine and hopefully burn off some fat but it may take some time, particularly as the weather gets hotter. Thanks Jon! Good luck with your blog as well! Happy to read you again! Tell us more about your drastic actions to lose weight? If you have cut the “choux a la creme” I can’t see other option than cutting the beer! Thank you Philippe. You know me too well. But before beer rice and bread have to take a knock.